You have added May Flowers Lace Pencil Dress With Fabric Piping in Black into shopping cart. 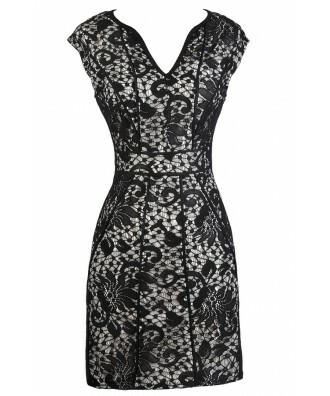 This fitted lace pencil dress has beautiful detailing and a flattering cut. The May Flowers Lace Pencil Dress is fully lined and made of floral lace. It has a V neckline and a fitted pencil cut with a banded empire waist. The attached skirt has a fitted cut. Fabric piping at the bodice of this dress adds contrast to this look. 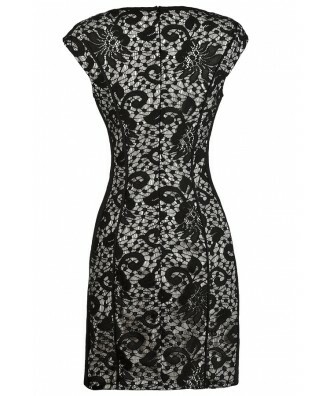 The May Flowers Lace Pencil Dress With Fabric Piping would make a cute dress to wear to a party or networking event. It could also be worn in a business casual environment and then out for drinks and dinner. Pair it with black or beige pumps and a clutch and you're ready to go! Details: Fully lined. Hidden back zipper. 100% polyester. Dry clean. Do not bleach. Do not tumble dry. Do not iron. Small measurements: Length from top of shoulder to hemline: 34". Bust: 33". 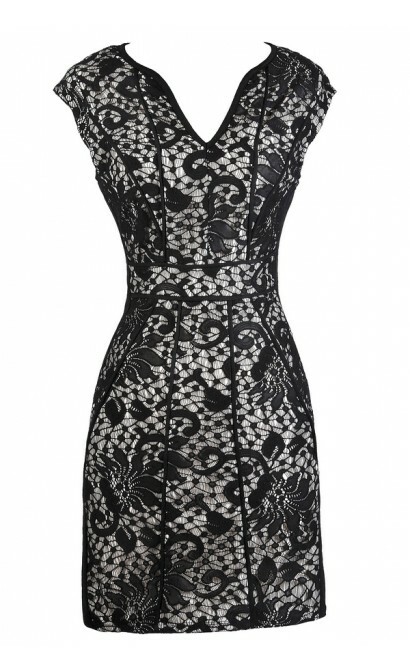 You have added May Flowers Lace Pencil Dress With Fabric Piping in Black into Wishlist. You have added May Flowers Lace Pencil Dress With Fabric Piping in Black for Stock Notification. You have set May Flowers Lace Pencil Dress With Fabric Piping in Black as a loved product. You have removed May Flowers Lace Pencil Dress With Fabric Piping in Black as a loved product.